The CASA C-101EB is a Spanish jet trainer in service in the Spanish Air Force. It is also used by the Patrulla Águila Aerobatic Team. 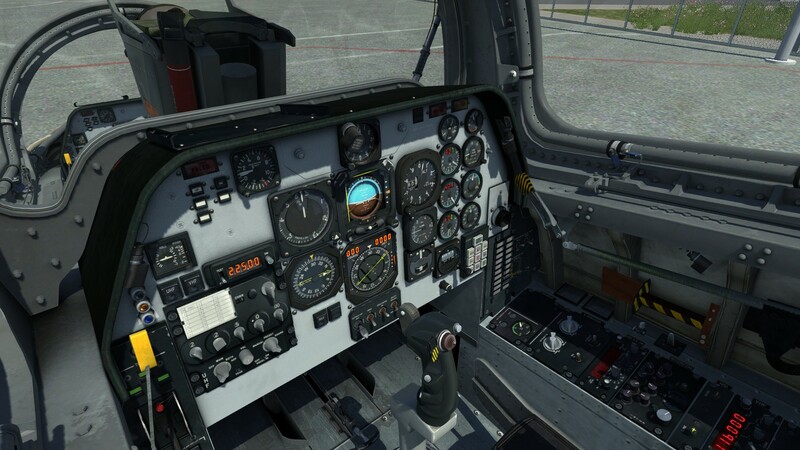 This is a module for Digital Combat Simulator World military aircraft simulator. 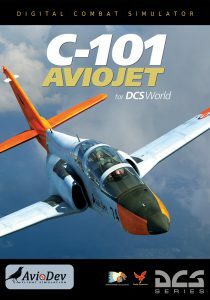 Note: The C-101CC attack version is included in the module price, and will be released soon. Stay tuned. You can purchase the C-101 module here. A full set of documentation, including quick start and flight manual. We recommend reading this flight manual to get to know the airplane better. Available in this web in the Download section. Flight model complies with real airplane performance tables. The cockpit is interactive with the mouse and keyboard, it has 6 degrees of freedom (6 DOF) and is also compatible with virtual reality glasses. Both front and rear cockpit implementation. Realistic animations, textures and sounds for a full immersion. Many available liveries for different countries, both real and fictional. Quick start missions as well as training. Training follows faithfully real procedures used at the Spanish Air Force. Available initially in English and Spanish languages. 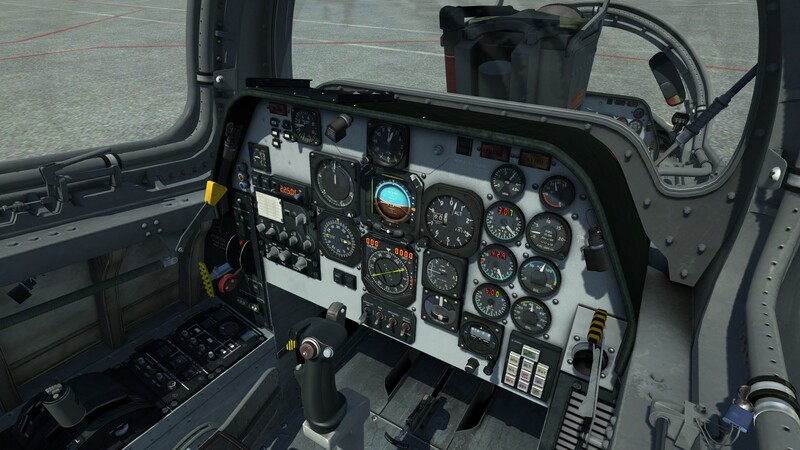 (The cockpit can also be selected in Spanish or in English). The price and computer requirements are available at Digital Combat Simulator web page.